In the Spring of 1969, Ramona and Donald Sibbet, our company founders, had a problem. 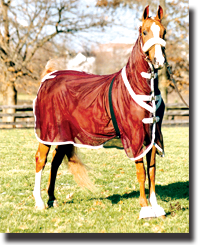 As show horse enthusiasts and exhibitors, they were disappointed in the quality of available horse sheets and blankets. The Sibbets decided to pattern and to manufacture their own high quality horse blankets and related accessories. They soon realized they had "struck a nerve" in the show horse community as requests to produce their custom products for the marketplace became overwhelming. 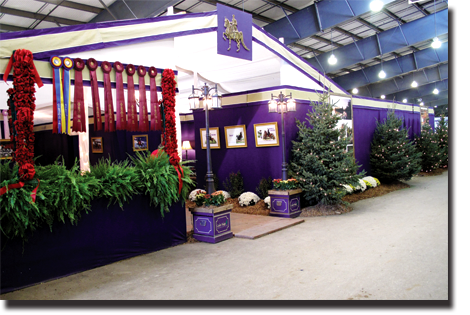 World leader in custom show horse apparel and stall draperies. 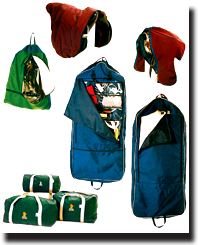 A tradition of innovation and exceptional quality continue to this day with RaDon's revolutionary new line of fabrics, designs and custom-tailored products. As a result, we have recently expanded our manufacturing facility to meet the outstanding value of our products. To promote your program and build positive awareness on the show circuit, your stall environment should reflect professionalism, confidence, and success. Combine your ideas with our creative expertise to produce the custom stall drapes you have always wanted. Working together, we can create the championship look and feel you need.